Patrik Elias is one of the finer European players to ever play the game. The future Hall of Famer was considered a highly smart two-way player with elite skills. The two-time Stanley Cup champion is New Jersey’s franchise leader in points, goals, and assists, which is doubly impressive since Elias played a good chunk of his career in the Dead Puck era. Elias was in town last month to assist with the NHL’s new player tracking technology, and to watch his Devils face off against the Golden Knights. So, I tracked down the retired star to get his thoughts on the youngsters in the Vegas pipeline. After all, the Czech was an assistant coach for his home country at this past World Junior Championships. Elias was enthusiastic by what he saw from the Golden Knights prospects. Elias wasn’t committing to a timetable for Glass but he expects it won’t be long. Just as he was with Glass, Elias was incredibly high on Vegas’ spitfire defenseman. The former Devil compared Brannstrom to another young, widely considered defenseman lacking “size” scouts worry about. A small frame doesn’t bother Elias in the least bit. The Czech coach is well aware of Patera and his abilities in net. However, he didn’t sound as confident in the goaltenders future, and it has nothing to do with skill. Not a glowing review, maybe more of an incomplete one. Elias was positive about his young goaltender’s adjustment and maturity. It’s becoming harder and harder to find someone in the hockey world that isn’t high on Glass (other than Ken) and Brannstrom. Elias is just the latest example. 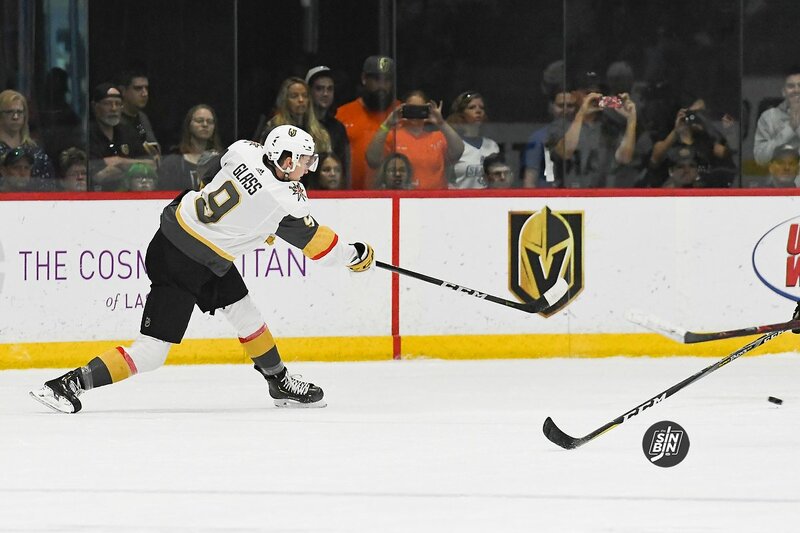 Vegas has two widely-regarded players in their system and it’s no longer a secret. While it’s not his decision, Elias would like to see both Glass and Branstrom get their chance sooner than later. However, there is a different philosophy with the Golden Knights decision makers. Who knows, maybe they shared an elevator with the NHL legend and things have changed. I’ve been thinking about next season’s lineup since the preseason. (Honestly I think it’s going to be an early summer, but that’s for a different article) The third line could be the best in the league by miles if the cards fall correctly. If Cody Glass is at least between 80-90% of the player that was drafted right before him, Elias Pettersson, we are going to have a potential Calder winner on that line with Erik Haula and Cody Eakin. It should produce matchup nightmares for opposing teams, as any of them could play center and can switch on the fly depending on where they are on the ice and the opposing line. In essence, it is a 3rd line in name only. With so much attention to the 1 and 1A lines (89-26-67 has become the true #1 line), 9-21-56 will be facing the dregs of the league, and they are all out of bubblegum.